Wardian case and terrarium hire. 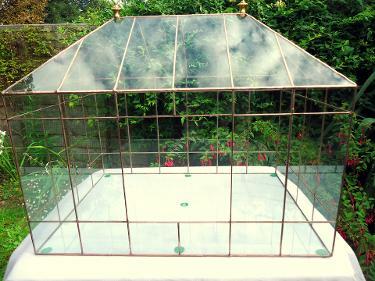 All our Wardian cases and large terrariums are available for hire. Should you have a specific design not within our range, we will endevour to make it for you. Delivery/collection within the M25 can be arranged or collection from DA5. All cases are unplanted. Examples of rental charges below, please contact us for prices of other designs. Prices inclusive. Delivery/collection extra. Deposit required. Terms and conditions apply.